By Muralikrishnan Munuswamy on July 10, 2017 Exceptional brilliance. Not sure if a thicker chain would look better, perhaps for a larger diamond. By Matthew Brentano on May 06, 2017 Very nice chain. 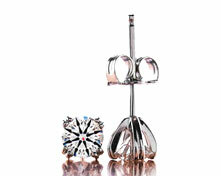 The pronged setting is very elegant. 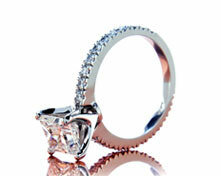 It is interesting enough to look cool but not too flamboyant to distract from the diamond. By Sharon Beatty on March 25, 2017 I loved the setting. It is rose gold and the setting itself looks lovely. My diamond really sparkles. By Sarah Nguyen on March 03, 2017 Beautiful simple setting that I wear everyday now. By Melissa Hardy on February 21, 2016 This is a lovely pendant. The chain really sparkles and has the right weight/thickness to it. It complements the diamond well.